Here's a team-up I wish would have occurred during the Bronze Age. 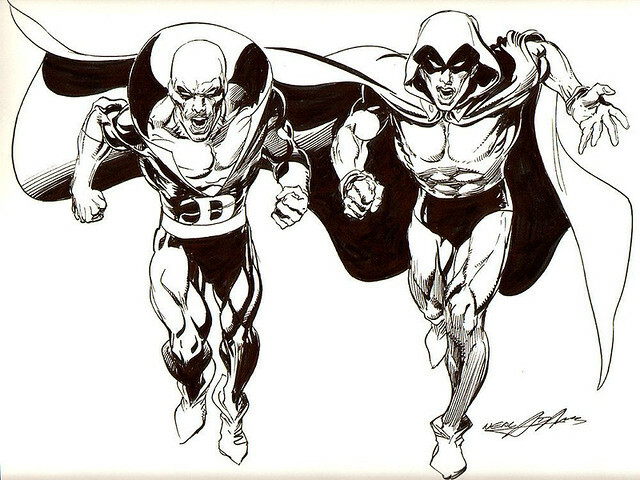 Deadman and The Spectre drawn by Neal Adams! If any two characters should have met, it would have been these two dead, ghostly heroes. Throw in the Phantom Stranger and you might even have a team. Nuff Said! Betcha any money you meant "Throw in the Phantom Stranger..."
Thanks for catching that mistake, Kid!